Even as desktop monitors continue to expand in size to provide a more immersive experience, HP is not content. 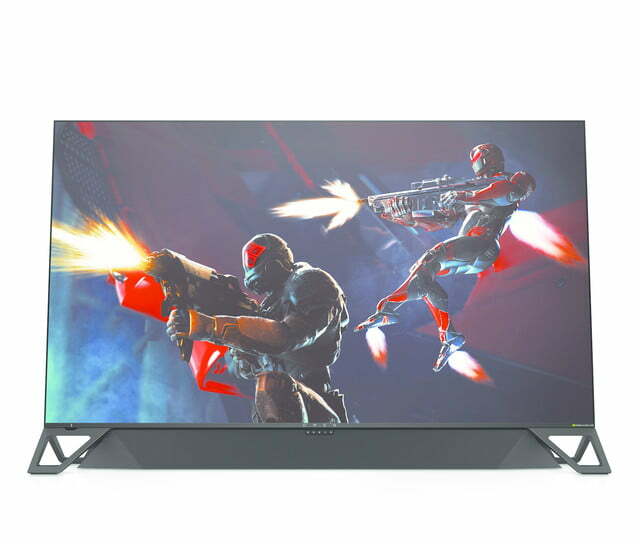 Rather than compete against other gaming desktop monitors, HP is taking the fight to the living room at CES 2019 with its massive 65-inch Omen X Emperium 65 gaming display. 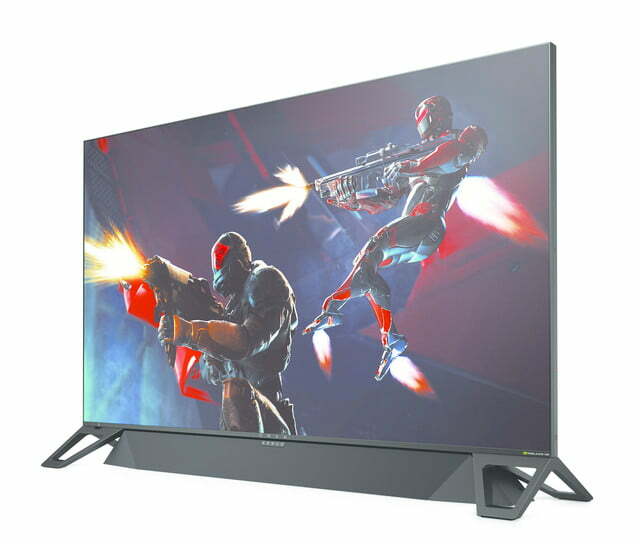 With a 65-inch screen size, the Omen X Emperium 65 is designed for the living rooms and larger spaces, and it comes with specifications that are bound to delight gamers, including HDR support, 4K resolution, fast response times, and speedy refresh rates. Whether you’re a gamer or a consumer of content, the Omen X Emperium 65’s built-in soundbar will help bring you into the on-screen action with immersive audio. The unit’s built-in G-Sync support will help deliver tear-free visuals when paired with a PC gaming rig with Nvidia graphics cards, like the GeForce RTX 2080-equipped HP Omen Obelisk desktop or the Omen 15 laptop. HP claims that its 4K HDR panel is capable of covering 95 percent of the DCI-P3 color space, and to keep things vibrant, the display features 484 zones of full-array local dimming backlight to help keeps blacks darker and whites brighter on the screen. The Emperium is capable of reaching up to 1,000 nits of brightness. 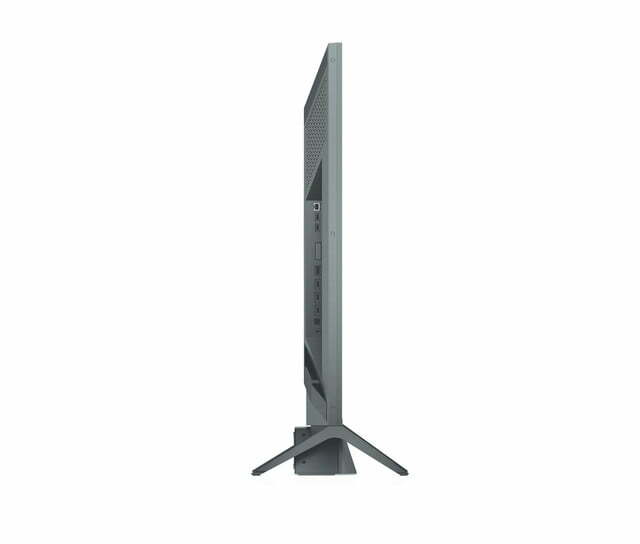 For those who prefer to mount the Omen X Emperium 65 onto a wall to save space on their entertainment console, the panel supports standard VESA mounts. The Emperium 65 also comes with RBG lighting that can be controlled through the Omen Command Center software. 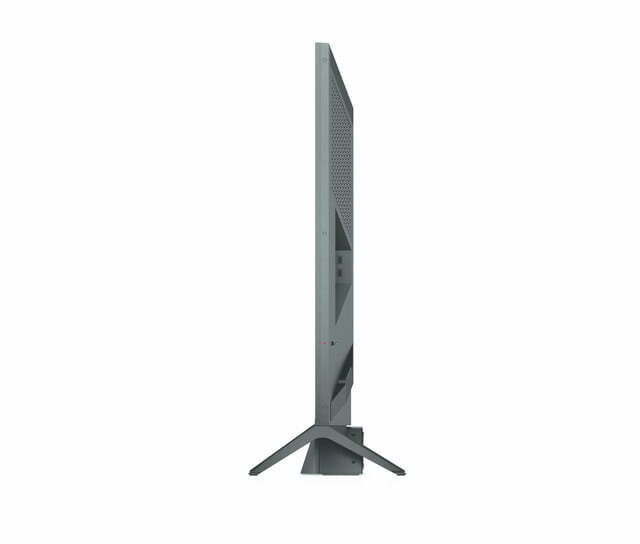 The display supports 144Hz refresh rates and a 4ms gray-to-gray response time with overdrive. In terms of connectivity, the Omen X Emperium 65 comes with one DisplayPort 1.4, three HDMI 2.0, two USB 3.0, and two USB charging ports. It also supports HDCP. 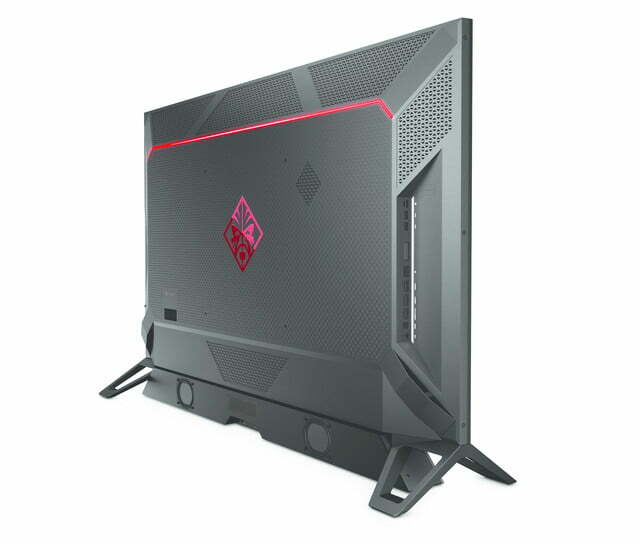 While some recent wide panel monitors deliver a similarly impressive selection of ports, HP goes a step further here, as the Omen X Emperium 65 comes with proximity lighting that lights up the ports when it detects a hand nearby, allowing you to quickly locate the right port to plug things into. The screen itself is powered by an Nvidia Tegra X1 processor and Nvidia’s Maxwell graphics. This gives it access to the Nvidia Shield ecosystem, making it a “smart monitor” with the capability to download and run apps — like Hulu and Netflix in 4K — or cast games from a PC or on the cloud. 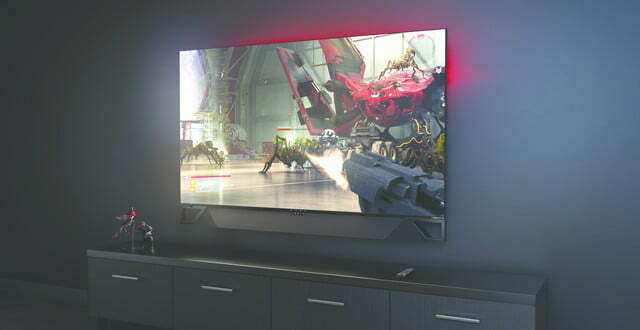 As such, the Emperium 65 is designed to be a gaming monitor that can replace your living room TV. Though it doesn’t come with a built-in TV tuner, the Emperium does support Wi-Fi and Ethernet connections. 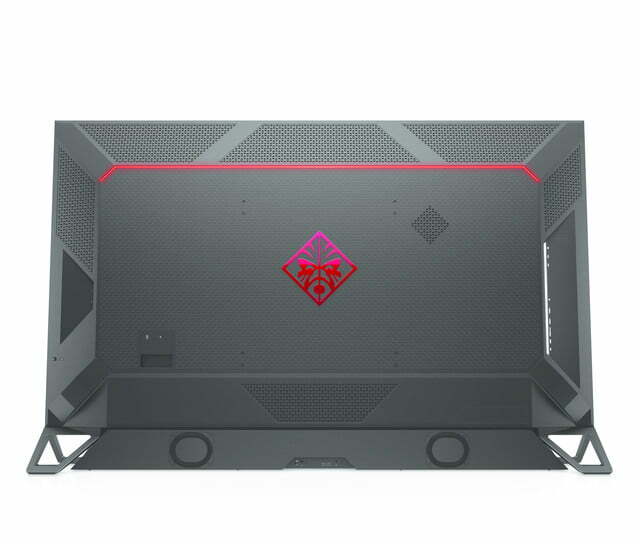 So, you might be wondering how much this monster monitor will cost. if you’re thinking in the range of a high-end television, you haven’t gone far enough. The Omen X Emperium will cost a whopping $4,999 at release. That’ll be enough to deter pretty much everyone, but the daring few will be in for quite a treat.